Caroline Wozniacki's quest for back-to-back Australian Open titles remains on track following her routine second-round victory over Johanna Larsson. 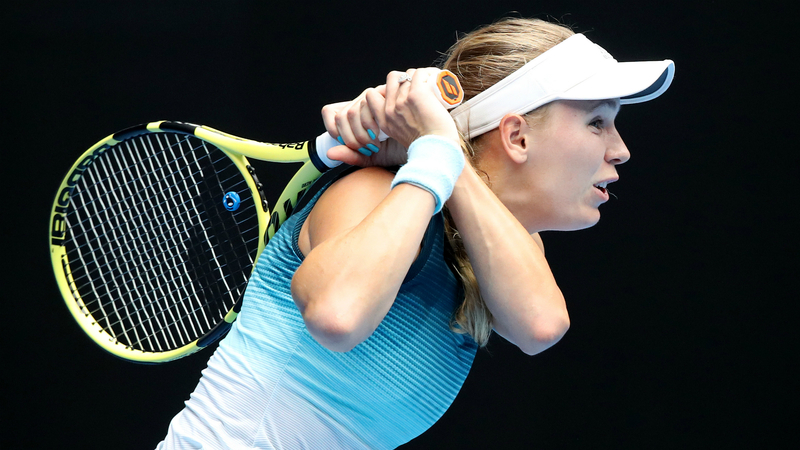 Not since Victoria Azarenka in 2012 and 2013 has a woman won successive Daphne Akhurst Memorial Cups in Melbourne, however, Wozniacki is still in contention following Wednesday's 6-1 6-3 triumph after 66 minutes. Wozniacki - aiming to join Azarenka, Serena Williams (2009-10) and Jennifer Capriati (2001-02) as the only women to clinch consecutive Australian Open titles since 2000 - set up a potential third-round showdown with Maria Sharapova. It was a breathtaking start by defending champion and third seed Wozniacki, who raced out to a 3-0 lead in just seven minutes on Margaret Court Arena. Larsson, who has never progressed beyond the second round of the Australian Open, showed some fight, fending off a break point to get on the board in the fourth game. The Swede saved another two in her next service game but she was unable to thwart Wozniacki at the third time of asking, double-faulting to allow the Dane to serve out the set. Larsson managed to earn two break-point chances in the second set, though she unable to convert as Wozniacki - who has failed to reach the quarter-finals of any slam since winning last year's Australian Open - broke twice, including in the ninth game to seal progression on her opponent's serve with a stunning backhand pass down the line.